Prior to Publisher Jay Seaton’s arrival at the Daily Sentinel in August 2009, he was a corporate and commercial litigation partner at the law firm of Lewis Rice & Fingersh in Kansas City, Missouri. He also worked in toxic tort litigation at the law firm of Shook Hardy & Bacon. Since arriving in Grand Junction, Seaton has become involved in the Colorado Forum, the Grand Junction Economic Partnership, the Grand Junction Forum, the Saccomanno Higher Education Foundation and the St. Mary’s Hospital Foundation. 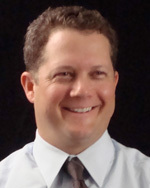 Seaton holds a bachelor’s degree from the University of Wisconsin at Madison and received his juris doctorate from Kansas University in 1996. Jay Seaton, publisher, The Daily Sentinel, says a key strategic change occurred Oct. 6, 2010, when The Sentinel instituted a subscription charge for access to its full website. “We’re in the business of providing news content,” says Seaton. “You can get any or all of it at the same price. If you are giving the Internet product away [with the same content as the newspaper] – you are driving consumers to the Internet. That’s just simple economics,” says Seaton, “and that’s an unsustainable business model.” Seaton says since instituting the web subscription fee there has been a slight “bump” in circulation. Overall web traffic has fallen off 16 percent, according to Seaton, “but we know more about those folks.” He calls them “invested eyeballs” because they are engaged with the community and are a valuable asset for targeted web advertising. The newspaper also made a key decision a few years ago when it decided to focus on local news in its front section. Jay Seaton, publisher, The Daily Sentinel, says he hopes candidates for jobs at The Sentinel will have demonstrated that they “take an interest in the world.” We want someone “that asks questions – that thinks – that cares. These are the people who makes the best journalists,” says Seaton.